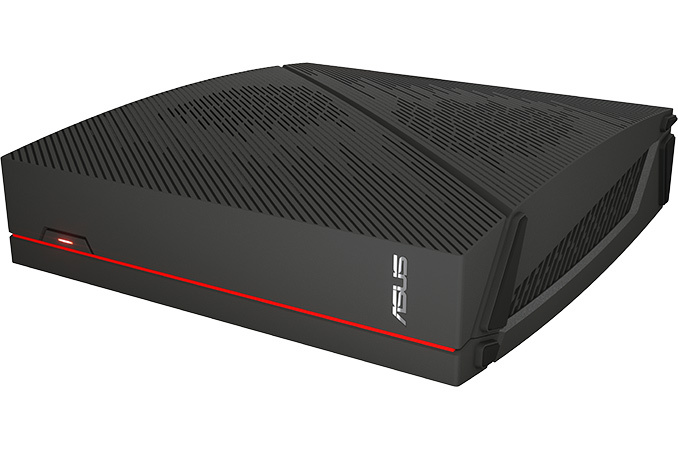 Word comes that ASUS has begun selling its VivoPC X console-like small form-factor PC in the U.S. As announced back in January, the system features a quad-core processor and a GeForce GTX 1060 GPU is available for $799. Meanwhile, ASUS has teamed up with Amazon and Newegg to offer a bundle consisting of a VivoPC X and an Oculus Rift with Touch starting from $1299; $100 cheaper than their combined retail price when purchased separately. As previously reported, the ASUS VivoPC X is the company’s entry-level miniature PC designed for gamers who would like to have a gaming machine in their living rooms, but who are not ready to invest in the ROG GR8 II. The machine uses notebook components to give the PC a small form factor, cut down its power consumption, and thus make it relatively quiet. A drawback of such approach is that end-users are unable to upgrade key parts of the system, such as the GPU. Spec-wise, the ASUS VivoPC X looks to be rather capable for a 5-liter machine (in fact, it carries the Oculus VR Ready label): it is based on the Intel Core i5-7300HQ (4C/4T, 2.5 GHz/3.5 GHz, 6 MB cache, HD Graphics 630, 45 W) CPU, the Intel HM175 PCH, as well as NVIDIA’s GeForce GTX 1060 GPU with 3 GB of GDDR5 memory. As for connectivity, the ASUS VivoPC X has four USB 3.0 Type-A ports, two USB 2.0 headers, Gigabit Ethernet, an IEEE 802.11ac Wi-Fi with BT 4.1 module, three display outputs (two HDMI and one DisplayPort), 5.1-channel audio with Sonic Suite software enhancements, and so on. The base model that retails for $799 is called the A80CJ-DS51 and comes equipped with 8 GB of DDR4-2400 memory (single-channel) and a 1 TB 2.5” HDD with 5400 RPM spindle speed. Previously, ASUS intended to offer a 512 GB M.2 SATA SSD and a 2 TB 7200 RPM HDD with its VivoPC X; however the company had to cut back a bit on their final specs to hit their $799 price target. At this point the DS51 is the only model available, so we'll have to see if ASUS comes out with any additional versions that are closer to their original specifications. 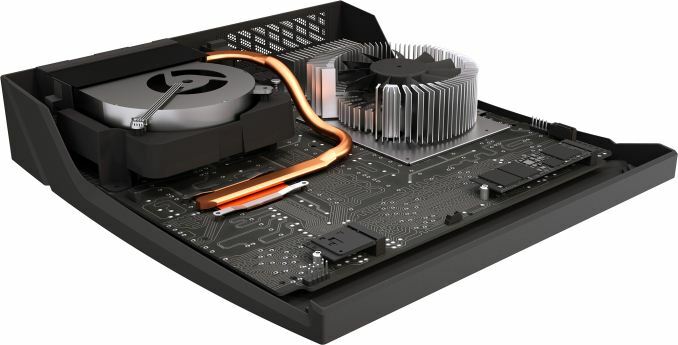 A VivoPC X with an SSD and a faster and more capacious HDD would be a considerably more attractive PC, but it would bring the entry-level SFF gaming system closer to the more expensive ROG GR8 II, muddling the ASUS product lineup. The ASUS VivoPC X is available from ASUS Store, Amazon, B&H, Fry’s, Microcenter, and Newegg for $799. In addition, from April 25 to June 13, Amazon and Newegg will offer an ASUS VivoPC X and an Oculus Rift with Touch bundles starting at $1299, shaving off $100 off of the price of a complete VR setup.